What a lovely, emotional story. Grace has been married to David for twenty-five years. Their daughter Sophie has plans to go to university on the other side of the country, in California, but first she is planning a holiday travelling round Europe with her friend. Grace was anxious about it but trying to be positive so as not to upset her daughter. As a wedding anniversary present for David she has organised a wonderful holiday for them, a month in Paris. All is well with her world until she and David go out for an anniversary dinner and she tries to give him the paperwork for the present. His response, and admission makes the bottom drop out of her world. 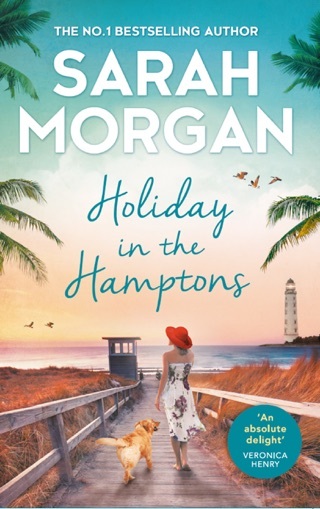 Eventually she decides she will go to Paris on her own, she has to, or Sophie will not take her holiday either, and Grace doesn’t want her to miss out. On her first day in Paris she is mugged, a man runs off with her bag, which contains her passport, money and everything else important to her. A young woman tackles the man and retrieves the bag, which is how Grace meets Audrey, a young girl from London, about the same age as Sophie. She too is escaping from the traumatic life she has lived with her mother. The two of them bond, and both end up working in a tiny second-hand book shop, living in two apartments above the shop. Grace teaches Audrey to speak french. For Audrey, Grace is providing the emotional support that she has never had in her life, they make each other strong. They both have several adventures, both good and bad, and rescue each other when necessary. The story builds to a huge crisis for both of them,and the way they both handle them is interesting and perhaps not how you might have expected. Every character in this story plays a meaningful role, I don’t think the story would be the same if a single one was missing. Sarah has woven a beautiful story into the tapestry of Paris, and the little book shop. There is much humour, but also sorrow and despair, and honesty. There are a couple of places where a tissue might be required to dry the tears. It is a real page-turner, you need to know what happens next. A very worthwhile read. I received an ARC from the publisher, via NetGalley, and am delighted to write an honest review. All opinions expressed are entirely my own. 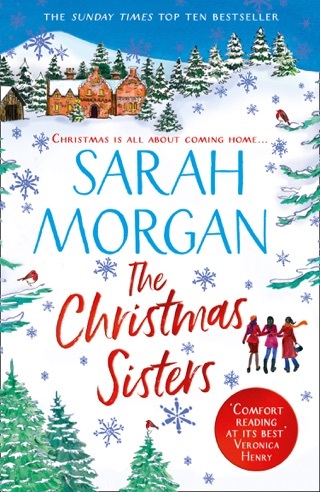 Sarah Morgan’s Standalone Novels Are As Good As Her Trilogies. 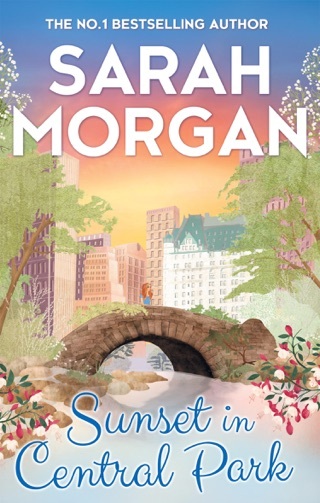 One Summer in Paris is yet another example of how truly talented a storyteller Sarah Morgan is. 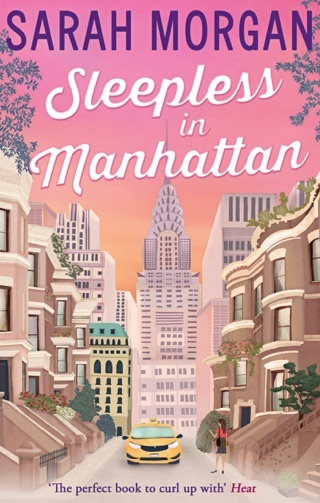 I was hooked from the first page, I lived through the highs and lows of Grace and Audrey’s journeys, I could smell the decadent Parisian air whilst the windy and rain were battering my window in North East England. My heart aches for both of the protagonists in this story, who were connected in a way I could not have imagined. The hits life (aka Sarah) kept giving them showed that the power of friendship when the rest of your world is falling apart is a remarkable thing. 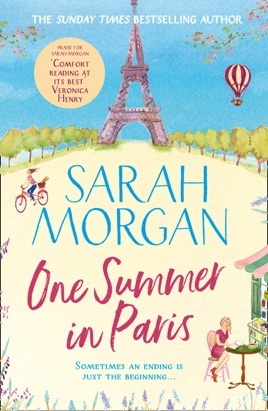 I would recommend #OneSummerInParis to anyone who wants to escape to the continent of a little while. A charming story of self discovery and friendship. 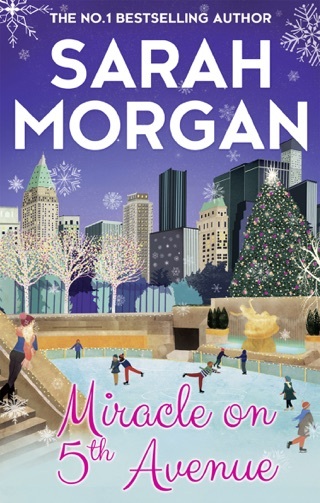 When I read the first chapter I wasn’t sure whether I was going to enjoy this book but I soon became drawn into the story and I loved the descriptions of Paris. The characters were masterfully portrayed and totally believable, being at turns vulnerable and courageous. I especially loved the relationship that grew between Grace and Audrey.